Dr. Zulkefeli is teaching pharmacy at his alma mater, Universiti Teknologi MARA, Malaysia, and is Chairperson of the Hiroshima University Malaysia Alumni Association*, which was established in March of this year. 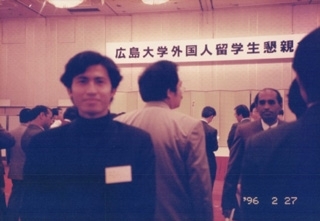 He entered Hiroshima University as a Malaysian Government-sponsored student. After graduation, he re-enrolled in a Hiroshima University Graduate School as a Japanese Government (old Monbusho) Scholarship student and acquired a doctor’s degree. Altogether, he studied for about 10 years at Hiroshima University. He received general education at the Higashi-Hiroshima Campus and specialized and graduate education at the Kasumi Campus. 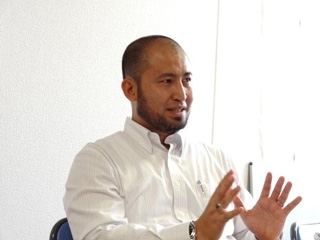 This time, we asked Dr. Zulkefeli about his precious experiences as a student while he was in preparatory education in Malaysia and as an international student at Hiroshima University. What was your motivation for studying in Japan? When I was a secondary school student* there was an orientation about overseas study programs where mainly the 3 countries of England, America and also Japan were introduced. In the last year of secondary school, we had to undergo the Malaysian Certificate of Education and the result of this test decides the students’ advancement to college. Before this test, Dr. Jamila, a senior of my school and of AAJ** (“Gateway to Japan, Center for Foundation Studies in Science, University of Malaya”), visited our school and introduced the AAJ Program. Dr. Jamila who is currently teaching at AAJ, the same as Dr. Zoraida (Vice-Chairperson of HU Malaysia Alumni Association), told me about the special preparatory program telling that the costs were fully covered by the government and students in Japan could concentrate on Japanese lessons and specialist training. I was very interested. I think that Japan is very beautiful. Japan shows us the beauty of life in the changing seasons. I suppose there is no other country like this one in the whole world. You can see cherry blossoms in spring, the beauty of oceans and mountains in summer, red leaves in autumn and snow in winter. Furthermore, the sophisticated technology is very famous, not forgetting the culture. I thought that I would have a great chance to experience cultures of clothing and food, etc. A senior told me that I would need a certain minimum score to enter the AAJ Program. I met the requirements and thus selected this program as my first choice. （*）The Malaysian school system is different from the Japanese one and not divided into junior and senior high school. After (6 years of) elementary school, they go to secondary school for 5 years. （**）As a part of the fourth Malaysian Prime Minister Mahathir bin Mohamad’s “Look East Policy”, a 2-years special preparatory program for students studying in Japan was established at University of Malaya in 1982. －　There were other destinations such as England and America. But you were interested in Japan. What image did you have of Japan at that time? At that time, Japanese dramas were very popular. When I was watching them, I felt that Japan was modern and completely different to the Malaysia of those days which was in the early nineties. －　What kind of dramas did you watch? What I remember best is “101st Marriage Proposal“. There is another older drama, but I can’t remember the title. Although, I’m quite sure that Ms. Momoe Yamaguchi was one of the actresses who starred in the drama. Dramas like this were broadcasted, and I admired the ambience of Japanese towns showed by them. It was a boarding school and we lived in a dormitory on campus of the University of Malaya. It was very challenging, because my group consisting of 20 students was the first to participate in a medical course since the “Look East Policy”* was established and the programs for study in Japan were introduced. We were the 11th generation students but until the 10th, you could either choose engineering or economic programs. So we were the first ones who could choose medical orientated programs, such as medicine, dentistry, pharmacy, biotechnology, etc. That meant that we had no seniors at AAJ. Our colleagues who studied engineering had seniors one year older than them, but we were the first ones to take a medical course. Being pioneers, that was our biggest challenge. (*)”Look East Policy”: Initiative for learning Japanese and Korean labor ethics, morale, and management capability with the purpose of economic development. Since it has been launched in 1982, about 15,000 Malaysian students and trainees have been dispatched to Japan. － What was the most difficult part of studying Japanese? At the beginning it was the Chinese characters. It was very hard to remember them. Then the grammar etc. I was not very good at languages. Also my English was just tolerable. When I was in secondary school, we had to study Arabic for 5 years, but now I can’t remember any of it. Anyway, learning Japanese was personally another big challenge. － How was the timetable at AAJ? It was divided into Japanese lessons and basic subjects. Every day we had 2 or 3 hours of Japanese. There were group classes by skill level. My personal best was the middle class. The basic subjects of the medical course were math, biology and chemistry. In my first year, the basic lessons were taught in English. From the second year on it was in Japanese. － Were there many Malaysian teachers? When I was in my first year, my teachers who taught basic subjects were local Malaysians, but the other teachers were Japanese. In my second year all of my subject teachers were Japanese. － Were the lessons at AAJ just like being in Japan? Yes, it was hard. The textbooks in my second year were the same as used by senior high school students in Japan. But they have 3 years to study all that, don’t they? We had to learn that within a year. It was really hard. At that time the University of Malaya was the best university in Malaysia. You can compare it with The University of Tokyo in Japan. The most difficult department in the University of Malaya was the Faculty of Medicine. The “Gateway to Japan, Center for Foundation Studies in Science (AAJ)” was said to be second most difficult one. 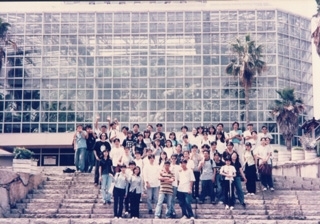 Students of the University of Malaya had midyear recesses or long semester vacations, but ours were short. Within 2 years we had to be at a level sufficient to enter a Japanese university. － Did you have the opportunity to meet Japanese people or to visit Japanese companies when you were at AAJ? The program offered a home visit of a Japanese household. Once or twice a year, groups of 5 or 6 students visited Japanese people at their home and enjoyed exchange. We also experienced bon-odori (Bon festival dance). It was a yearly event held at the Panasonic plant in Shah Alam. Furthermore, we had Japanese factory tours. － What was your impression of Japan? At that time our international airport was not current Kuala Lumpur International Airport but Subang Airport. Formally clothed, we boarded the airplane and arrived in Narita the next morning. Although it was early in the morning, I was astonished to see that it was very bright. In spring, the sun rises quite early, doesn’t it? And I had another physical impression I cannot forget. We had to take the bus, and when the automatic door opened and we left the airport, I felt a cold wind. I was surprised. The light was very bright, but in reality it was cold. It was the end of March and it was the first time I really felt cold. From Narita Airport to the embassy we took the highway. The landscape was nice and everything was clearly visible, which was a new experience for me. My country is hot, and humidity and heat makes the air look wobbly. The closer we came to town the more excited I became. I saw views I knew only from TV. At first all of us lodged close to the embassy but after 2 days of orientation, we transferred to our study destinations. － How did you come to Hiroshima? I went by Shinkansen Bullet Train. Students who go to Hokkaido probably still use the airplane, but those who went to destinations western to Tokyo – as far as Yamaguchi, I think - they all took the same Shinkansen together. One after the other, they got off at Nagoya, Kyoto, Osaka and so on. Students going to Hiroshima and Yamaguchi were the last to get off. The Shinkansen was very fast and we hadn’t seen anything like it before. We could also see Mount Fuji from the train window. Tell me about general education. How was it attending lectures in Japanese together with Japanese students? Personally I think that general education is a good thing. Of course, some subjects were closer to specialized education, for example chemistry or mathematics. My weakest subject was Professor Kotou’s philosophy. We had to read such a thick book (laughing)! I attended the lesson together with Japanese students and was treated equally. That was a very important process for us international students. It was before we entered specialized education of the second and third grade. I was the only international student in the Institute of Pharmaceutical Sciences. But I felt at ease, because I was used to working together with Japanese students since my time of general education. That had a great influence on me. － Could you make friends with Japanese students? I think I might be a quite outgoing personality. I spoke to people and made friends with everybody. For example, when I arrived at university I first checked the bulletin board of the Faculty of Integrated Arts and Sciences for colleagues of the same institute. Then we did something together. It was always the same pattern. We had lunch together, etc. － What were you doing on weekends? When I was a first grade student, I was in Saijo and on weekends I spent the time together with international students from Malaysia. Sometimes all of the students of the same institute did something together. I didn’t join the orientation camp at Miyajima. If I had gone there, I would have been able to know even more people. Together with the institute, I went to see the cherry blossoms at Kagamiyama-Park. I also took part in a bowling contest in Hiroshima. － Did you feel a bit of confusion about cultural and lifestyle differences? It was hard to find a proper place to pray. At that time we used the corridor of the co-curriculum's building between the Faculty of Integrated Arts and Sciences and the Faculty of Engineering to perform our noontime prayer. We have to perform the noontime prayer at university. For the evening prayer, I could do it when I came home after the 4th period of lecture. But for noontime I was at school. At the beginning I didn’t know the place and had to ask my seniors. As it was my first time in a cold area, I had a runny nose the whole year over, also in spring and summer (laughing). Summer 1994 was extremely hot and the water supply was cut off. Japan had a poor rice crop and rice from Thailand was imported. I planned to work as a swimming pool life guard at elementary school during my summer vacation, but due to water cutoff the swimming pool was closed. My apartment was very old and unbearably hot. This old flat was just in front of the Misonou Elementary school. I lived on the second floor. There were about 8 rooms and each floor had a communal toilet and kitchen. But only on the first floor was a bathroom. To get there from the second floor, I had to use outside stairs. It is our custom to take a shower every morning. So, every morning before going to school, I used to take a shower and had to climb down the outside stairs to the first floor. It was just the time when the elementary students went to school and I couldn’t avoid saying a cheerful “Good morning!” (laughing). The flat was just in front of the main gate of their school. It’s still standing out in my memory. 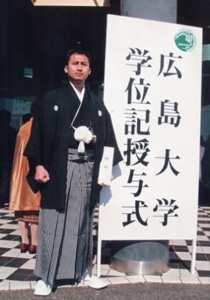 When I became a second year student, I received specialized education at the Kasumi Campus. It was the first time I attended lectures in the same classroom with many others. Normally, students sit always on the same seats, don’t they. Student A was used to sit in front of student B and things like that. Students sitting together and became friends. The connections with my friends in those days were very important. The teacher wrote on the blackboard and we took notes. After the lecture, I asked my friends to show me their notebooks to transcribe what I couldn’t understand or follow. My classmates were all serious students and very friendly. After I took my doctoral degree I decided to go back to Malaysia and about 20-30 out of the 60 of them gathered and held a celebration for me. I was really touched. Yes, we were all friends until now. But for our teachers our class was referred as the “problem batch” with the worst academic results (laughing). － At that time, how did you spend your time on weekdays? My apartment was in Minami-ku Asahi-machi. It was about 5-6 minutes to walk to the University. I had to pass Route 2 and enter through a small gate - I think it belonged to the nurses’ dormitory - to go through the University Hospital. I was busy studying every day. In the first semester of the 2nd year, we had lectures the whole day long, but in the second semester, there were practical trainings in the afternoon. We had to work in pairs, and it was important to get on well with your partner for the 2 weeks of trainings. These practicals helped me to broaden my horizons on pharmacy. Tell me about your memories of Professor Eiichi Kimura, your former teacher. Professor Eiichi Kimura* was a very passionate and dedicated teacher. He educated us not only as researchers but also as human beings. For example, he taught us manners. At the laboratory we had lunch meetings and afternoon tea break together. For the undergraduates joining the lunch meetings was compulsory. We, the 4th year students, had to buy lunch boxes. Professor Kimura was sitting in something like a seminar room together with the 4th year students and we had lunch. We listened to his experiences as an international student in America, etc. In this way, he educated us as humans, I thought. 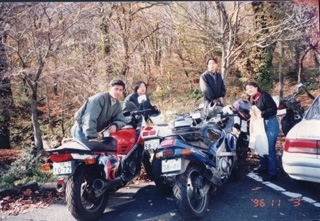 Also two Assistant Professors Koike and Aoki (at that time) used to join us. (*) Eiichi Kimura. Professor Emeritus at Hiroshima University. Ex-President of the Pharmaceutical Society of Japan (PSJ). He received the Order of the Sacred Treasure, Gold Rays with Neck Ribbon in spring 2014. － Is there anything else you learned aside from research? Yes. The laboratory was of world class level. We had to learn how to work properly, to be punctual and to prepare for the seminars. － Were the Japanese and international students treated equally? Yes, they were. This is also one of my strongest memories of Professor Kimura. He told me that he would treat me not as international student, but equally as Japanese students and that I should be prepared. And: “When you came here, you are representing the image of Malaysia. But you will get to know and learn the Japanese way here. When you go back to Malaysia, take the image of Japan with you.” I thought that he was right. － How was the application process for the Japanese Government Scholarship? At the end of March, I returned to Malaysia and in May or June I found the open recruitment of the Japanese Government Scholarship in the newspaper. I applied for it via the Malaysian Government and the Japanese Embassy. At that time, I received a letter of recommendation from Professor Kimura. And I was told to take an interview in July. Along with the interview, I had to undergo an easy Japanese language test. During the interview, I was asked what I wanted to research about and in which laboratory. 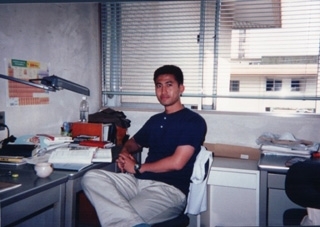 And I was very lucky that I could return to Hiroshima University and continue my research at the same laboratory I was before. When I submitted my application, I was very determined to go to Japan the following year. As time was limited, I couldn’t ask details of Dr. Zulkefeli’s life as a postgraduate student. He spent about 10 years from the time as an undergraduate student until finishing the doctoral course, spending the most time of his twenties at Hiroshima University. This interview made me feel what a long time it was.